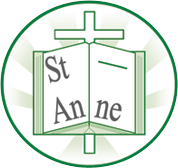 We are very excited to launch our Digital Leaders programme at St. Anne’s. Two children from each class in Y3 – Y6 have been selected to be a Digital Leader and meet every Monday lunchtime. The children are being trained to use some of the fantastic new computer programming resources we have recently purchased, and will then be asked to help lead computer sessions to demonstrate this equipment to others. The children are very proud of their new role and are wearing their badges with pride. They are also our E-Safety Leaders and attend events throughout the year. We will keep you updated with our progress. Our Digital Leaders attended a day at EFC. They had a fabulous time and had the chance to try out some new equipment and technology. Well done to you all, you were a credit to the school. Our Digital Leaders attended a day at LFC as part of the Safer Internet day. They had a fantastic time and will relay the message of being kind online to others.